Give Me the Brain is the origianl Cheapass Fast Food Zombie Game, winner fo the Origins Award for Best Traditional Card Game of 1997. This is actually the fourth edition fo this game, now back at Cheapass Games. Welcome to Friedey's, the Fast Food Restaurant of the Damned. 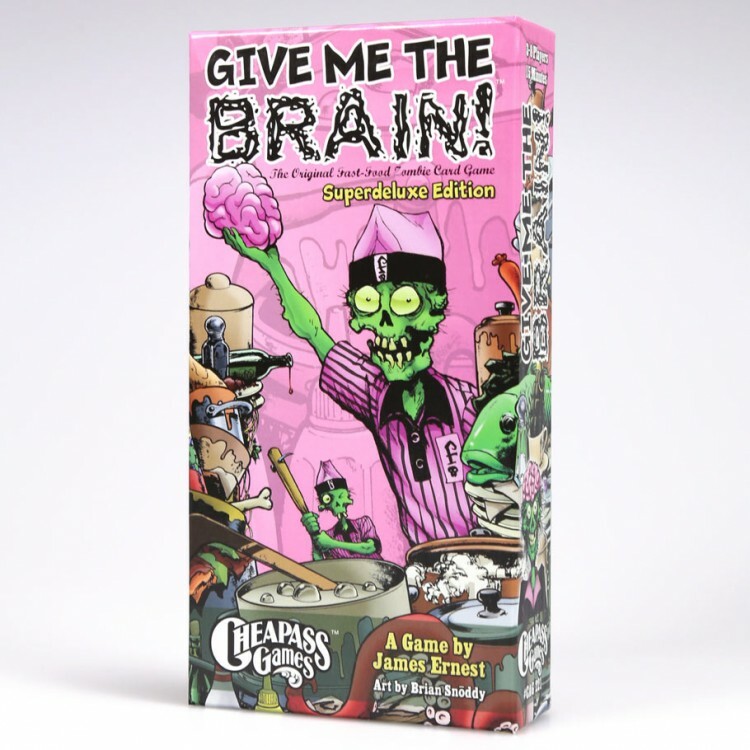 You and your zombie friends are trying deperately to finish your work here, but you only have one brain to pass around. To finish your tasks, you just have to empty your hand. 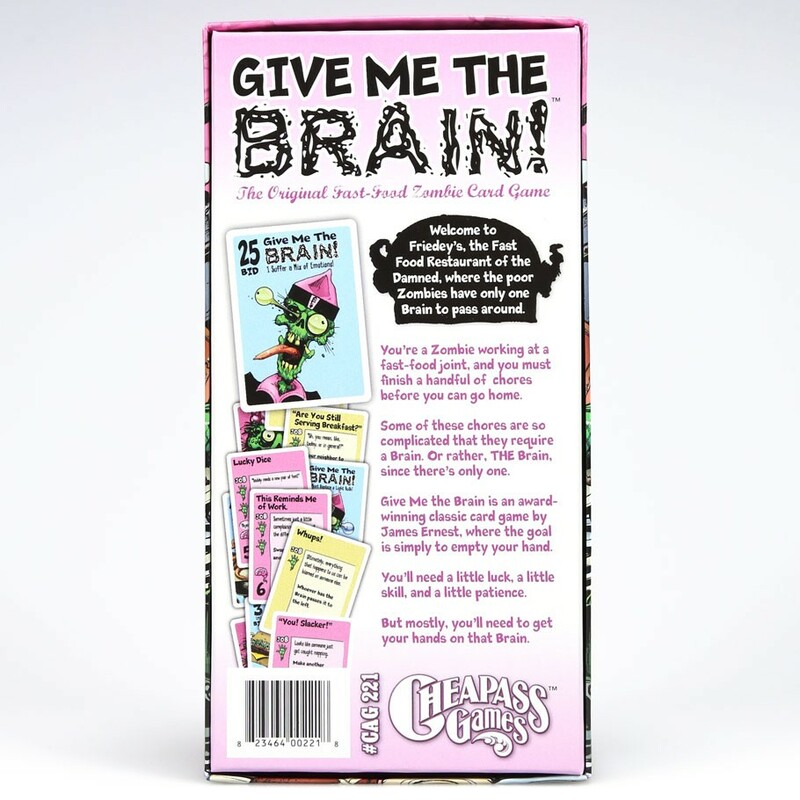 But first you'll have to get your mitts on the brain!